Android phone and tablet users can get our app on Google Play. You'll need to have Android version 4.0 or newer. 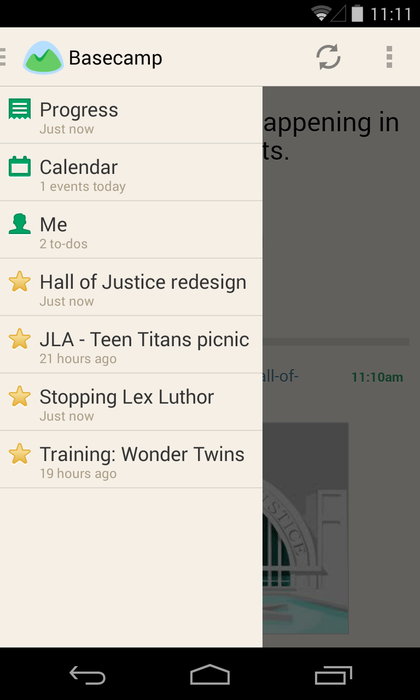 Like the mobile optimized version of Basecamp, the Android app lets you see everything in your account. The bold time stamp on the right side of each item lets you know which updates you haven't seen yet. 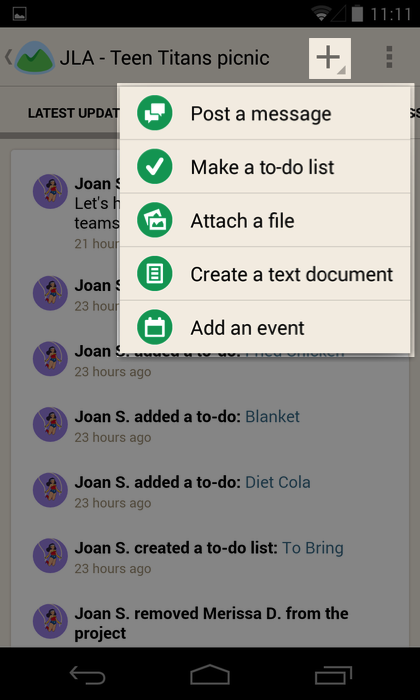 You can add discussions, comments, to-do lists and items, files, and text documents. If you have the Dropbox App installed on Android 4.4 (or higher), you can select files from your Dropbox account to upload to your project. You can create new projects, switch between accounts, or log out. 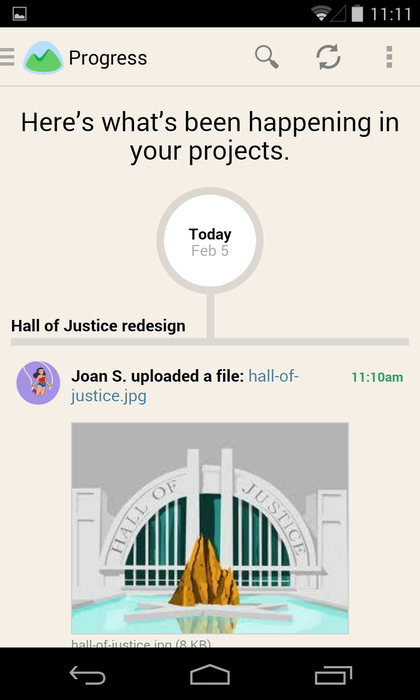 You can archive projects in the Android app, but you won't be able to see your archived projects. There are no push notifications at this time. Sorry about that! 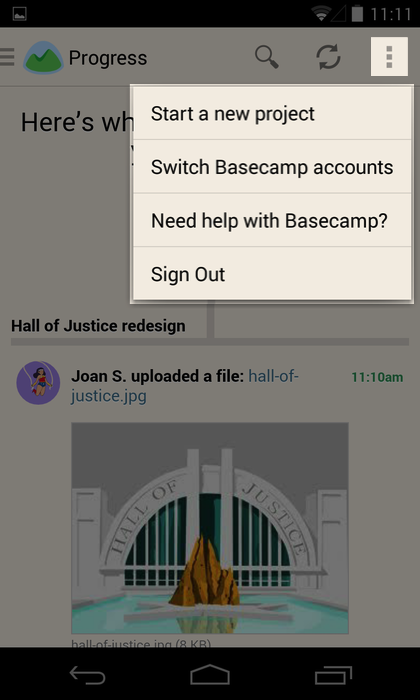 Only your Basecamp 2 accounts will appear in the Android app. Basecamp Classic accounts are not supported at this time. Which version of Basecamp are you using? Basecamp 2 and Basecamp 3 have separate apps, so you'll want to make sure you've installed the correct app for the version you're using. Where's my account? If you have a Basecamp 2 account, but don't see it when you log into your app, check your Launchpad Settings and make sure your account is visible in your Launchpad. Links in notification emails only open the Basecamp 2 app when you have the account in question open. That means if you're working in your app in one account and try to open a notification link for another account, that link will open in Chrome. Seeing other issues? Send our support team a ticket with a screenshot of your phone.